With apologies to Howard Cosell; “Down goes Alabama! Down goes Miami! We’ll start in the Plains of Auburn where the Tigers, for the second time in three weeks knocked off the No. 1 team in the land, in another dominating performance this time slaying the Goliath of college football the Crimson Tide of Alabama: 26-14. In addition to some foggy heads, the other thing hurting in Auburn on Sunday morning are the beautiful hedges that surround the field at Jordan-Hare Stadium which were ripped apart by the students deliriously storming the field in celebration of their “Gridiron David’s” who if it all falls into place, just might become the next national champion. 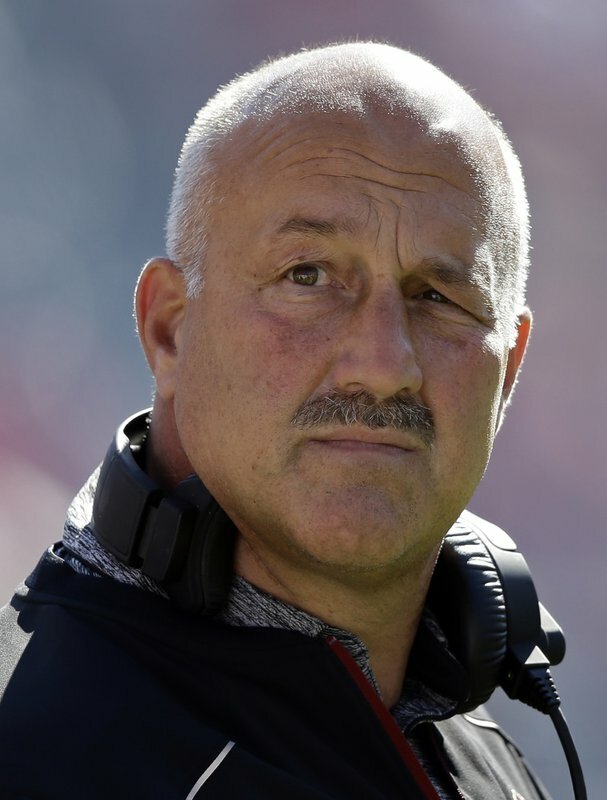 No longer in control of its own destiny, Alabama needs Georgia to knock off Auburn, which is a rematch from three week ago in the SEC Championship Game, and have Ohio State take out undefeated Wisconsin to have any hope of earning an invite. In that scenario it would come down to a beauty contest between the Buckeyes and the “Sons of Bear” as to whose resume is worthy of playoff inclusion. Ohio State with conference championship would get an extra check, but the Committee’s somewhat nebulous criteria of the four best teams leaves this question; is Alabama better than a two-loss Ohio State? Stay tuned, there is a lot of football left to be played in conference championship weekend, and many of those questions will be answered. 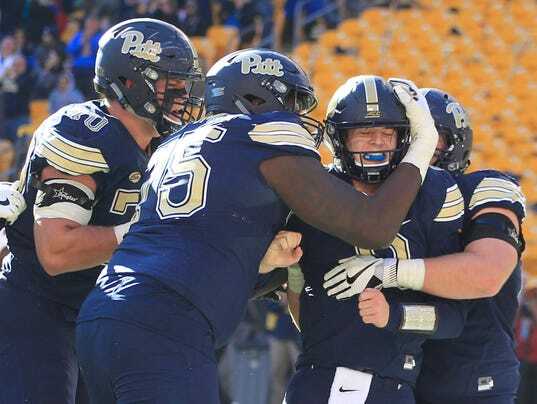 On Friday, the Canes of Miami, riding the nation’s longest winning streak at 15, marched into Three Rivers Stadium, home of the Pitt Panthers and had its “turnover chain” melted down for scrap by the scrappy unranked (5-7) “Sons of Dan Marino;” 24-14. It was the second consecutive year an unranked Pittsburg team knocked off a top two team. But all is not lost for Miami, whose road map to a playoff invite is clearer than Rand-McNally. Win the ACC Championship game against Clemson, a seemingly Himalayan task for Mark Richt’s Canes, and it punches its ticket into the playoff. On the local scene up on the Heights the “Fighting Addazio’s” AKA Boston College went out and smoked an overmatched bunch of Orangemen of Syracuse, behind the running of its budding freshman star tailback A.J. Dillon who pounded out 193 rushing yards in the Eagles dominating; 42-14 victory. These “Sons of Mike Holovak” have won 5 of its last 6 to finish with a truly remarkable 7-5 record. It’s a long way from Coach A’s “Captain Queeg-esque” soliloquy given some seven weeks ago when his Eagles sat a dismal bottom-feeding 2-4, and the coach declared, “I don’t have a time table but it’s coming and it will be beautiful…” For fans of the Eagles beautiful it has become with a bowl game invite, possibly in New York, soon to be arriving in the mail. In Ann Arbor, here’s the question for the Maize and Blue faithful must answer; when does a rivalry stop being a rivalry? Ohio State rallied from a 14-0 deficit and for the sixth consecutive year defeated Michigan; 31-20. It is the Scarlet and Grey second longest winning streak, and the 13th victory in its last 14 tries against its arch-rival. Yikes! Big Blue’s savior Coach Jim Harbaugh is now 0-3 against the “Sons of Woody” and 1-2 versus the “Sons of Duffy Daugherty” its other rival, which is not what the Ann Arbor faithful envisioned when “Saint Jim” came onboard. To be fair next year has been circled as the year Michigan makes its mark as a national contender, but unless Brandon Peters in the answer to its QB issues, the jury remains deep in deliberation on the outcome. Northwestern “The Little Engine that Could,” took care of a woeful bunch of Illini, who have lost 10-in a row, racking up 42-unanswered points in its 42-7 pounding of its rival. Pat Fitzgerald’s Wildcats are now riding a 7-game winning streak, finished its season 9-3, and are playing like one of the best teams in the nation. Good for them and Coach Fitz, who if the Notre Dame job ever opens, would be a better fit than Bogie and Bacall. 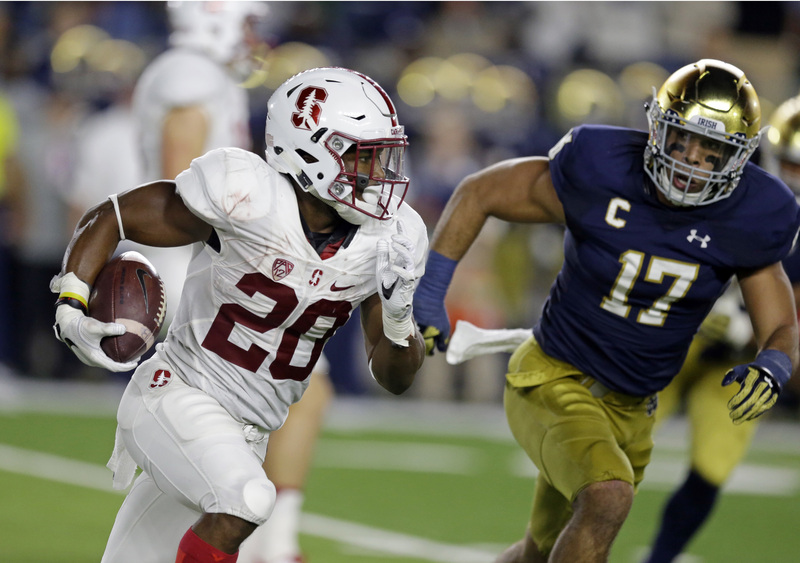 Speaking of the Irish, it’s now official, Notre Dame is the most overrated team in America as it once again laid an egg, and once again in a prime-time game, losing to a decent, but not great Stanford eleven; 38-20. The next time a member of the “Touchdown Jesus” eleven covers a receiver, let me know. But trust me, I’m not holding my breath. UGLY! Stanford has won six in-a-row, and an eye-popping 8 of its last 9 against top-10 teams at home. WOW! As mentioned the Stanford Pac-12 invite comes courtesy of another “stinkaroo” laid by the Cougars of Washington State who were eviscerated by the Huskies of Washington: 41-14. Trust me the score isn’t indicative of how lopsided a win it was for Chris Petersen’s Boys who have now won five consecutive Apple Cups, and for the second year in-a-row kept its arch-rival out of the Pac-12 title game. OUCH! Finally, as always, we close with our bloviating gas-bag pal Charlie Weis and the woeful Jayhawks of Kansas (1-11), the last team Charlie “fixed,” who were once again trounced, this time by the Cowboys of Oklahoma State; 58-17 and in the process extended its FCS NCAA record for the longest road losing streak to 46, just two behind the all-time record owned by 1AA Idaho State with 48. Where’s Mark Mangino when you need him?! That’s it from cyber space. We’ll be back Wednesday night with our analysis of the four conference championship games that will determine the invitees to the playoff.